One of the aspects of historical fiction that can be so hard for modern readers is the differences in what is acceptable social behavior. Stephanie Thornton is one of the few authors I have come across that can present a thoroughly enjoyable story even with elements that can make a reader cringe. In Daughter of the Gods, her heroine, Hatshepsut, is made to marry her half brother, Thut, to secure his place on the Egyptian throne. They have a daughter and plan to marry her to Thut's son by his common wife, therefore marrying their daughter to her half brother (did you get that? Yeah, it can get a little twisted!). Simply reading this set up in such bald terms makes it sound icky, doesn't it? Well let me assure you the novel is phenomenal and Ms. Thornton does an unbelievable job of not only presenting this complicated situation in a way that leaves the reader enjoying and understanding the situations but makes you just love Hatshepsut and her quest to be more than just a regent. Topics that many readers seem to shy away from are those dealing with their greatest fears. That fear can be different for everyone but often deals with loss, pain or helplessness. I've often heard people refuse to read a book just based on the topic but that is something I've never been able to do. For me, my greatest fear is losing one of the people I love most, mainly either my husband or my son. 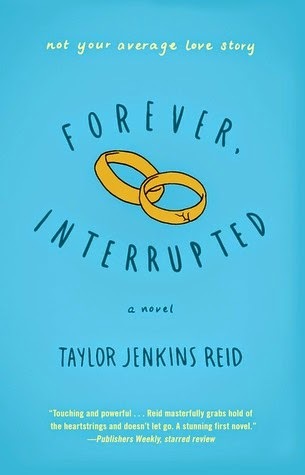 Ms. Reid's Forever, Interrupted, deals with just that: the loss of the main character's husband and her process of trying to cope in the immediate aftermath. Let me tell you, it wasn't always easy to read this novel and I did a lot of crying along with Elsie Porter, but what I felt by the end was relief and appreciation. Elsie was able to survive this tragedy and, in doing so, gave me that little bit of hope that if something similar happened to me I could possibly do the same with some love and support from others. I honestly cannot remember the last time I have cried so hard over a book! It was so bad that when my husband came home and discovered me sobbing uncontrollably he assumed something terrible had happened! 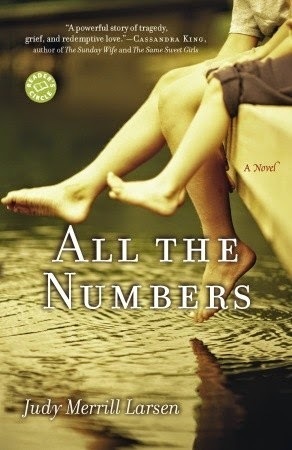 And in a way it had: my heart was utterly broken for the main character in All the Numbers, a mother who tragically loses her son in an accidental jet ski accident. There is one scene in particular, involving the mother having to physically let go of her son, that I will never forget. Was this hard to read as my baby took a nap? Absolutely! Would I go back and never read the book so that I wouldn't feel that pain or have to imagine going through the same thing? Not on your life. This story is simply heartbreaking and beautiful and I highly recommend it to anyone and everyone willing to go through the journey. So tell me: Have you read any books that tested the boundaries of what makes your comfortable or books that made it hard to keep reading given the topic or situations? Do you have any recommendations? All three books are new to me. I read a Ciji Ware (just reviewed on my blog) which really blew me away. Started as an emotional break up of a marriage, went into time travel in the nicest possible way with naturally a big change of both era and scene and then came back to Scotland! Oh that sounds good! I have read one book by Ciji aware about the devastating earthquake of San Francisco but I don't think I've heard of the one you're talking about. I'll look it up, thanks!! I agree, Andi, it can be hard sometimes. It definitely takes a skilled writer!! I'm not a fan of historical fiction per say but I have read books that are hard to read given their topic or situation of the characters. For me it's books that deal with abuse of children and books that deal with drug abuse (especially heroin or other hard drugs) when written well, will make me sick to my stomach. They are hard for me to get through and emotionally draining. But I don't shy away from them. I recently read one that was uncomfortable and not something I'd normally read called The Street or Me by Judith Glynn. It's about how she became somewhat obsessed with a homeless woman in NYC and tries to help her. Really good story, but not something I could emulate! All three of these books are new to me. I read your post to my reading buddy over the phone. 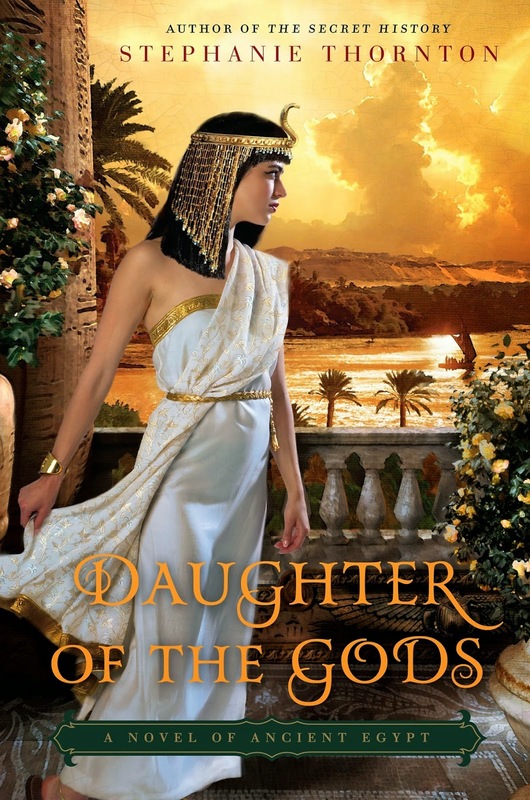 She has the Daughter of the Gods by Stephanie Thornton on her TBR list. I am going to add it to my list based on your suggestions. Thanks!